Last year I went against my better judgment and pulled a dozen or more titles out of the 500 or so I had seen through 2013, and nailed them to the cathedral door as the “best” the year had to offer. Against my better judgment again, I’m going to pluck out another dozen or so, and call them the “best” 2014 has offered up. It’s tired, hackneyed and boorish, but there were in fact some high points that deserve attention. The problem is, the original list of software expired long ago, but new titles keep cropping up. And posting at the rather breakneck pace of two a day — sometimes a lot more — I’d have to sift through nearly a thousand programs to come up with best of the year. And on top of that, some of what 2014 revealed didn’t really shine next to what I’d already seen in 2013. For example, I ran through a huge rasher of games this year — at least 20 a month in both October and November, just for starters — and yet the games I play the most aren’t out of the 2014 crop. neercs: Trust the caca geniuses to solve this one. Screen glitz: neercs. The second-best reason to use a console program is to annoy the heck out of your fellow geek, and if you can do it while insulting their nerd credentials at the same time, then the universal pecking order shifts in your favor. This year saw the arrival of neercs on the scene, and nothing quite says “Kneel before Zod” like a 3D spinning ASCII desktop in a framebuffer virtual console. “Oh, you have a transparent 3D desktop? How quaint. Oh, you have windows that dissolve in fire and can spin your desktops like a cube? Uh, yeah, I was doing that back in ’06, with a 1Ghz machine and a video card with only 16Mb of memory. Your window panels cause ripples against your desktop wallpaper? Yawn. You better get with the times.” You can’t let the little pricks generation-gap you, Molly said. Fire up neercs, then practice rolling your eyes and sneering. Runner-up: Nobody. I couldn’t think of another program that was likely to embarrass you as much as saying you relied on wifite. Fast directory switcher that isn’t a fast directory switcher: bashmarks. This year saw a lot of fast-directory switching solutions, which might lead you to believe that there was something inherently wrong with the cd command. Some of them were quite complex. Some of them were quite intricate. And some of them were quite eccentric. bashmarks, by virtue of simplicity and providing the obvious solution, gets the red (blue?) ribbon this year. No complex heuristic analyses. No tracking directory patterns and predicting your next move. Just give it a destination and a nickname, and call it back when you want to go there. The shortest distance between two lines is a bookmark that takes you there. Runner-up: commacd, which gets the blue (red?) ribbon for a gentle and comfortable approach that still carries enough power and flexibility to leap across yawning chasms in your $PWD. Just remember, for the love of all that is holy: Don’t call it a fast directory switcher. 😯 Also-rans: cdargs. I’m adding an honorable mention for pushd and popd as the zero-dependency option. 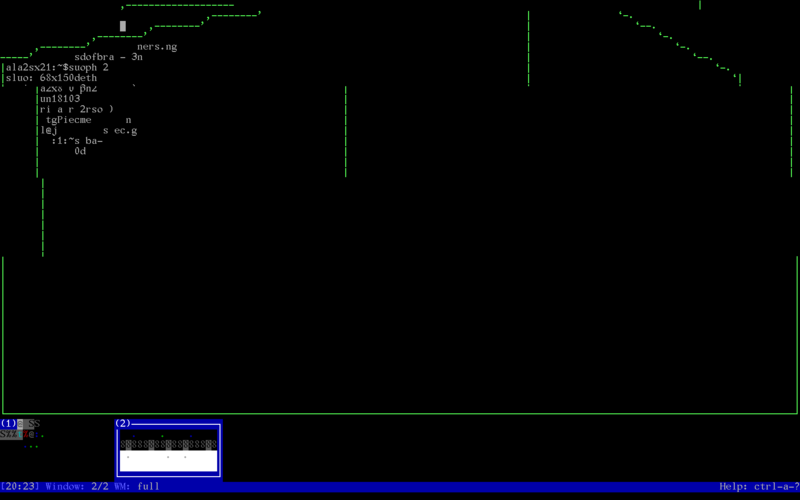 aewan: Draw me like one of your French girls … in ASCII. ASCII art editor: aewan. This was one of the more difficult selections, because out of the four or so ASCII art tools I’ve seen this year, each one had specific functions that either didn’t appear in another, or were handled less adroitly. Some could draw polygons and edit them. Some could draw pipe lines with ease. Some had paint roller effects, and some had transparency copy-and-pasting. But none of them had everything, which meant each one has its own selling point. In the end I had to pick aewan for its layer support, and for tying so many other functions to that feature. aewan falls down on things like easy line drawing or polygon cut-and-paste, but it was hard to deny its other shining points. 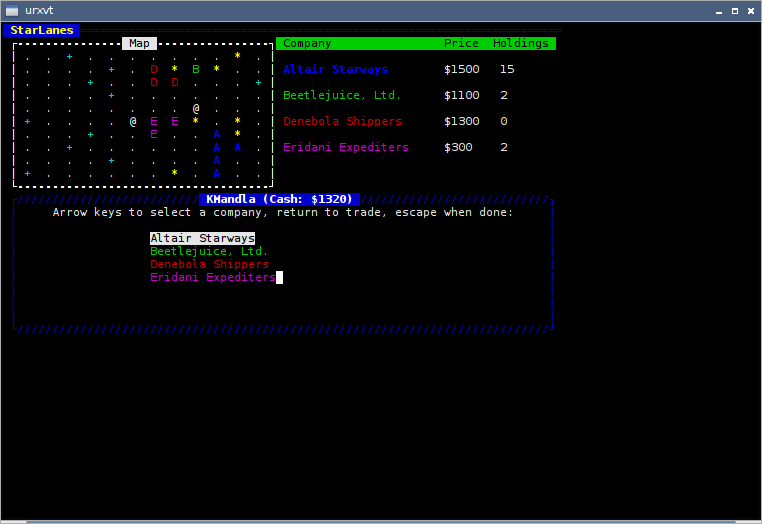 Runner-up: cavewall, which had so many other goodies, but no layers. Also-rans: textdraw, which had the uncanny ability to customize and edit polygons on screen, and duhdraw, which had the best line drawing tool. tudu: You come at the king, you best not miss. Emulator epiphanies: tudu. You’d think that running through a thousand console programs in the course of the year would cause a certain level of indecision on what software to use at any given time. But it’s quite the opposite: Very few programs impress so much that they completely upset the apple cart. All the same tudu summarily ejected hnb from my system in a matter of minutes, mostly for picking up every feature hnb offered, and adding a dozen more I had always wanted. And among to-do task organizers, most everything else I tried — and believe me, I tried a lot of to-do task organizers 😯 — fell short in one way or another. tudu came, saw, and conquered. Runners-up: tmsu, for making file tagging and organization suddenly cool, and stow, for twisting the reality of package management and remote dot-file synchronization all at once, if you can believe that. Also-rans: httrack, the whirling dervish of website copying. soma: Sorry, I can’t hear you over the sound of how awesome this is. ncurses-examples: Fun for the whole fam damily. 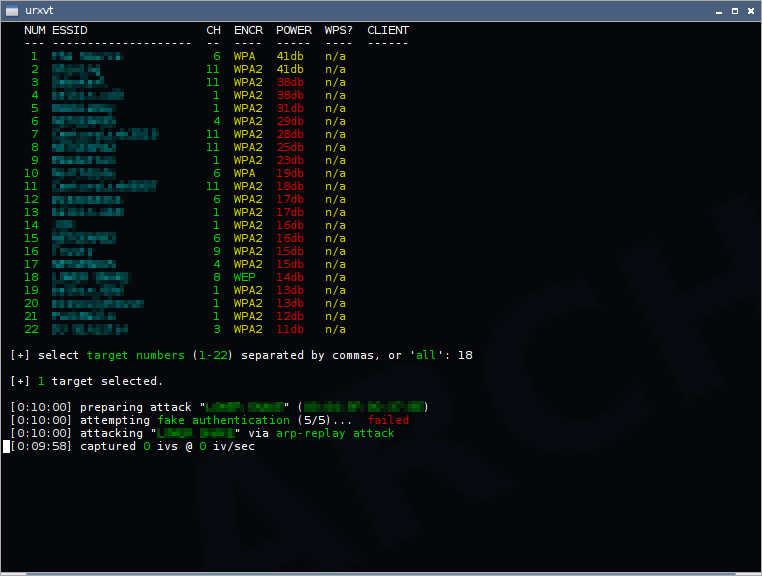 Sweetest suite: ncurses-examples. Probably never intended as a complete package of its own, ncurses-examples was a giggly little grab bag of this-and-that, some functional and some not. While a few of its members split from the band and had fruitful careers as solo artists (such as bs), there was still enough good fun in this package to make it worth downloading, compiling and running piece by piece, in hopes of finding something new. Given its age, it’s unlikely you’ll find anything that will completely rewrite your text-only lifestyle, but sometimes it’s just fun to try out random things, and see what becomes of them. 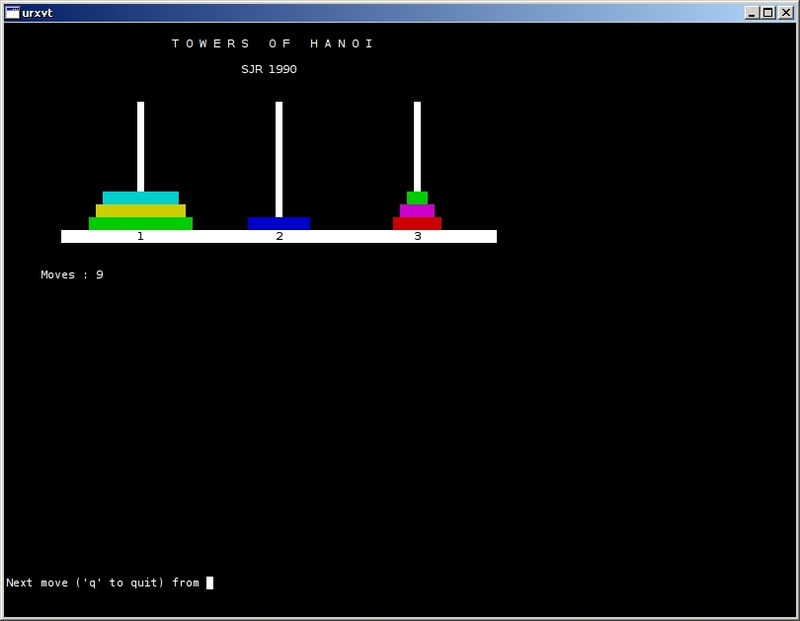 Runners-up: bsd-games and coreutils, both of which are more fun than a barrel of monkeys on a rainy day in May. 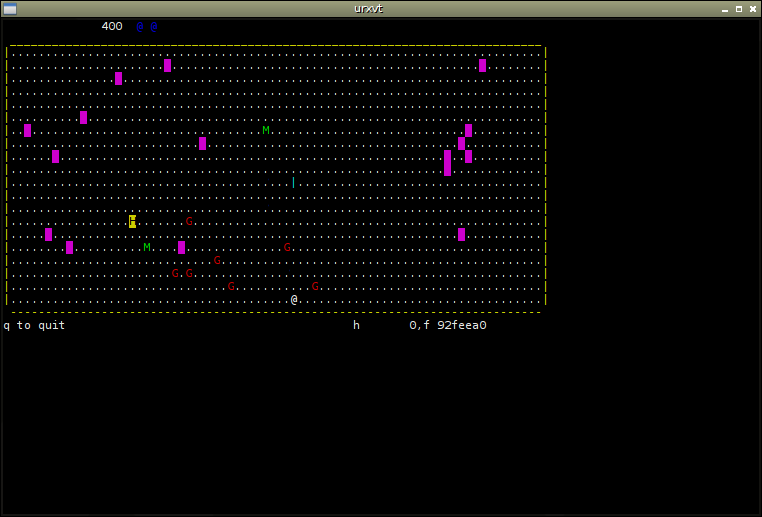 Also-rans: datamash, which is fantastic for statistics, and the inotify triplets, which were mind-bending as a bonus. ncdu: Find the fat, just like that. Compare and contrast: ncdu. You can cry foul if you want, since ncdu is hardly new, and only cropped up in 2014 by virtue of the alphabet. And you could complain to the judges since it has no color, but the fickle hand of fate will work against you on both counts. ncdu is the console analogue for all the embossed display tools and cutesy circular dial meters for file size comparison. But ncdu is smart enough to know that what you’re really after is a list of hogs, and how to hunt them down. And it adds some fundamental file management commands, so once you find a pig, you can terminate it … with extreme prejudice. 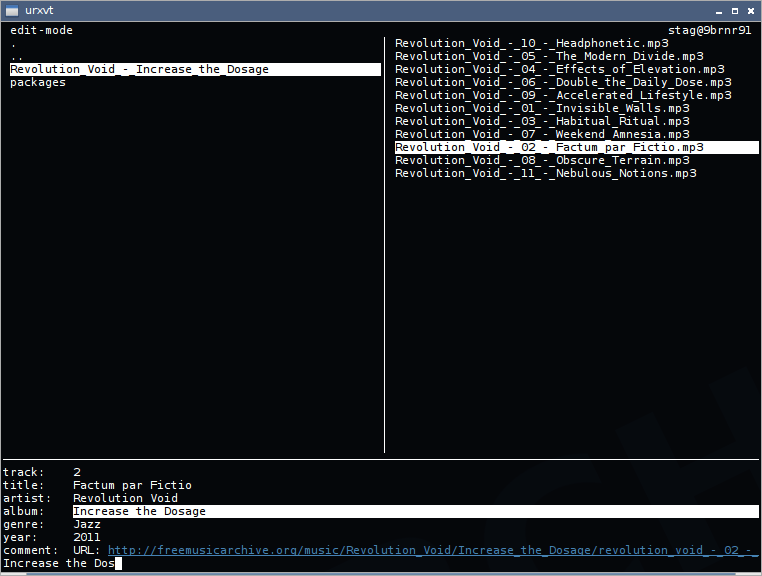 Runner-up: dfc, which does a better job displaying and conveying disk usage than most any other tool, graphical or not. 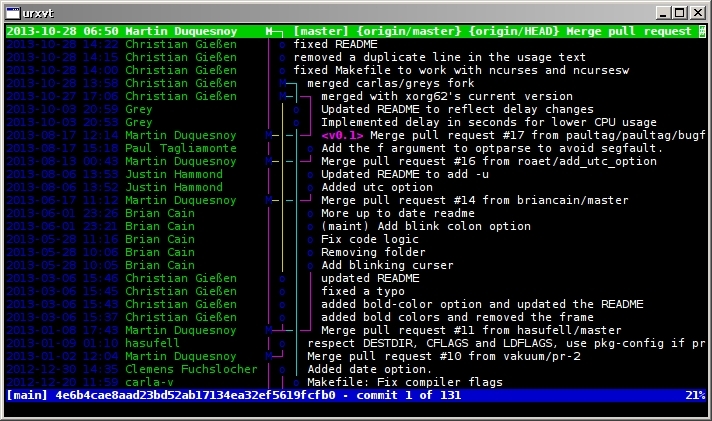 Also-rans: ngp, which stood out in my memory more than other grep-like search tools. And sl, which deserves better for being a huge improvement on ls, and being relatively unknown too. stag: Now you can have a stag party every day. Runner-up: ncmpcpp, which incorporates a very impressive tag editor as part of the player, which is either good or bad depending on your perspective. 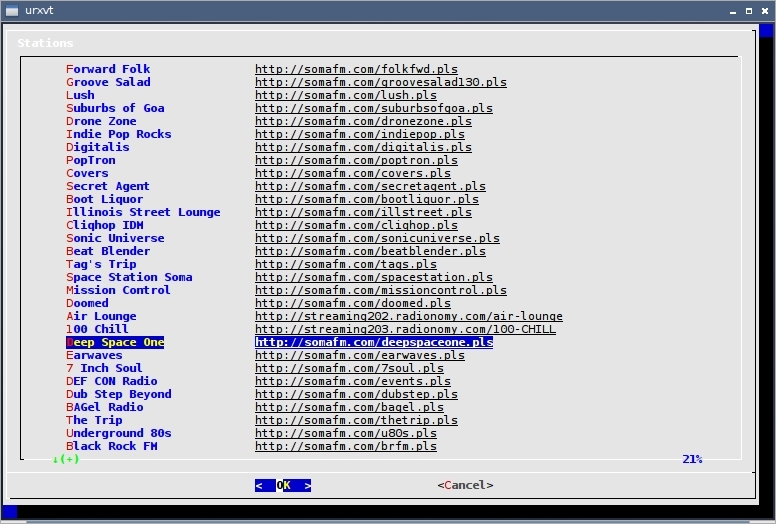 Also-ran: cursetag, which did a great job but suffered some internal problems; and bashtagger, which accomplished most of the same tasks for flac and ogg files, but missed out on other points. Game of the year: And now, the category everyone has been waiting for — especially since heavy-hitters like Cataclysm: DDA, and Gearhead 2 and Dungeon Crawl: Stone Soup are out of contention. And with the proliferation of roguelike titles that appeared late this year, there’s going to be some serious jockeying for position. empire: War and Peace was a pamphlet compared to this. scribble: I have been brushing aside Scrabble-esque titles since about 1998, when it became clear that there wasn’t much to be gained in going head to head against a program optimized for speed and points, and armed with a dictionary designed to include words like “zymurgy.” 😐 scribble, on the other hand, was very playable, very easy to learn and didn’t make me feel like I was pitted against the Imperious Leader. 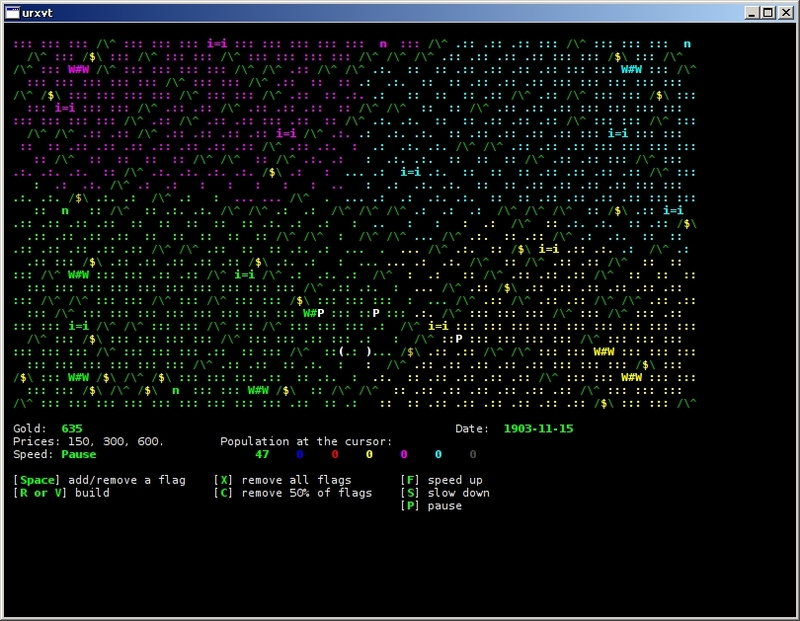 angband: Angband was one of the strongest roguelikes I saw this year, winning for depth, atmosphere and playability — points that were probably attributable at least in part to Tolkien and Gygax. The roguelike genre is in dire need of a makeover anyway, to bring it into line with the demands of the newest generations of text-based dungeon crawls. 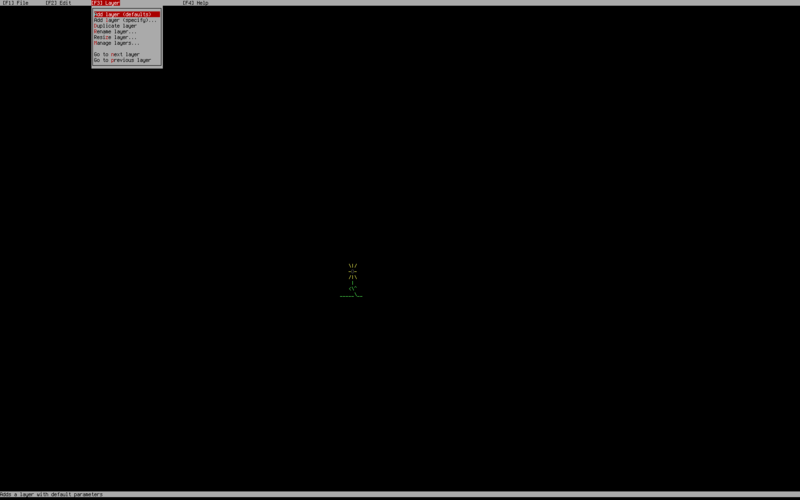 But Angband managed to contort itself to the largest of displays and never trip over its own feet. robohack: Save the last human family, or at least their ASCII representations. robohack: It’s hard imagine a text-based rewrite of the arcade classic Robotron 2084, yet for all the shortcomings of the medium, robohack manages to pull it off. It’s fast, colorful, and clever, but most of all fun. sail: Sail is memorable for its intense levels of detail and fidelity to an ancient tabletop strategy game, and deserves inclusion on those points alone. But more than that, sail is proof that you don’t need expansive, highly detailed, incredibly taxing graphics — what you need is just a good game. yetris: Yetris is an all-around winner among text-based games, adding lovely animation effects, an overabundance of color and an assertive use of the space available on the screen. 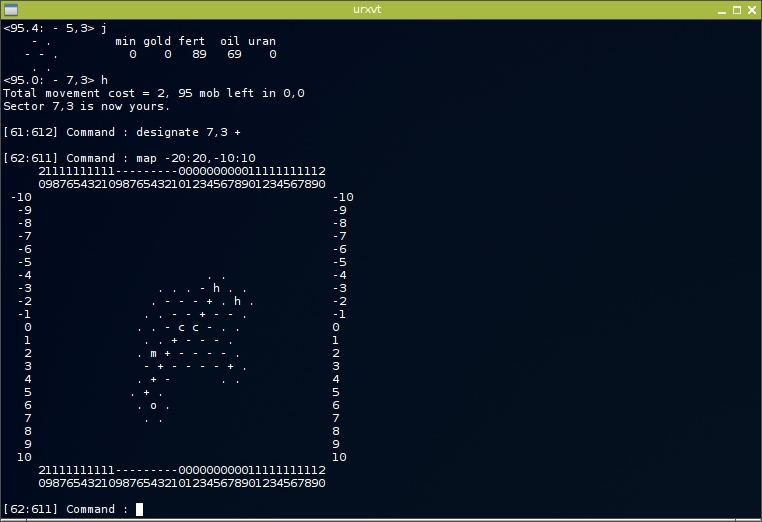 Yetris may only be one of a thousand Tetris clones, but it commandeers your terminal so aggressively and with such authority, you probably won’t remember any of the others. curseofwar: This is what we’ve waited for, this is it boys, this is war. curseofwar: If you think a real-time strategy game with population controls, fortifications, combat and growth models is impossible in a text-based format, well … you just haven’t tried Curse of War yet. And since it’s still under active development, there’s no reason not to expect Curse of War to expand beyond the design it holds now. ttysolitaire: A good computer card game by any meterstick, ttysolitaire brought together the classic rules, added fantastic color and graphics, gave it lightning-fast controls, and created the be-all, end-all text-based solitaire game. Do not miss this one. starlanes: There is a measure of irony in holding up the best game I saw in 2014, knowing full well that timestamps on some source files date back to 1997. But Starlanes is easy to learn and quickly addictive, with plenty of surprises and challenges. It’s a thinking game and not so much an action game, except perhaps when a black hole swallows your entire shipping corporation in one swirling gulp. But you can’t put it down once you start. Like I said months ago, Starlanes is original, obvious, easy to control, visually concise, colorful, intelligent, challenging, strategic and surprising. But more than that, it’s proof that a good game is really just a good game, no matter what environment you’re confined to.